On July 20th, The Hungry Shark hit the number 3 spot in the Children's and Teen section of the Amazon Kindle store. Author and illustrator Tamia Sheldon joins us today to talk about her Kindle success. Thank you for your interest and support of my book! I wrote this story for my then four year old daughter when she was in a huge shark and fish phase, we had drawings of fish all over the house. She loved how Amelia cried so much and laughed at her denied requests to eat other sea creatures. I thought it might be a good book to illustrate and started sketching out the pages in adobe illustrator. I am so pleased the book has been well received and that kids as well as adults get the sense of fun and humor I wanted to convey. Illustrating for children's products and books is my passion, I love kids' natural sense of joy and curiosity and try to create work that speaks to that sense of fun. The best inspration I find is working dircectly with kiddos, I teach K-1st graders art classes and while they are not quiet, they are awesome. Kids are so totally uninhibited in their art and that is something we could all learn from. 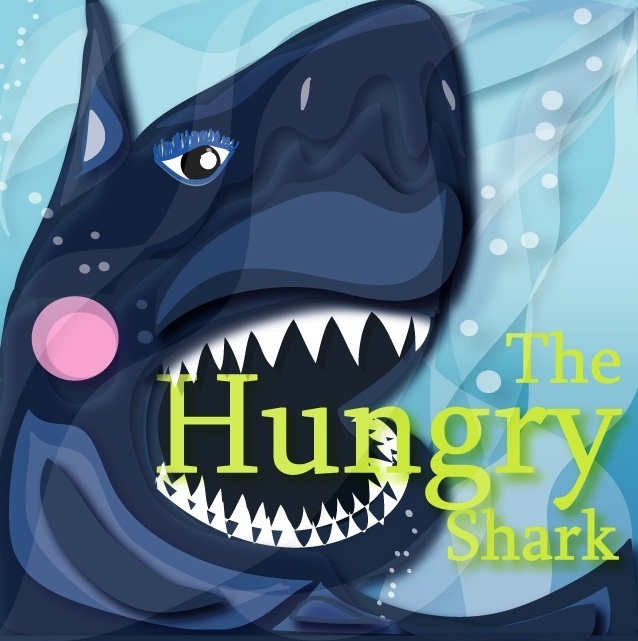 Tell us what The Hungry Shark is about. It’s lunchtime and Amelia is hungry! Amelia the Shark is looking for her lunch but all of the sea creatures she finds have a clever form of protection. The Hungry Shark features colorful images, playful text and an kid-friendly recipe starring Amelia's favorite food: Seaweed! This fun children's book is perfect for calm afternoons and bedtime. Many parents today have iphones, kindles, computers or other devices that they use to entertain their kids while driving, waiting for a table, the Dr.s office waiting room. Instead of having them play a mindless game its great there are e-books they can read and interact with. This is a huge new frontier for artists and writers to create original, quality work that can be shared easily on all these new formats. My kiddo is a voraciousness reader and now I can download a ton of books onto one tiny device. I think e-books are wonderful! Anything that gets very young children interested in reading is a great thing. Kids today are surrounded by technology and its integrated into their daily lives, why not use what we have to instill a love of reading? If your kid digs playing on a i-pad and you are working on literacy reading an ebook together is the logical next step. See more of Tamia's work at her website. For the latest top ten children's and YA authors in the e-book realm, see the Kids' EBook Bestseller List, which is updated every Saturday morning.